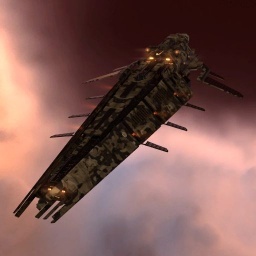 Command ships are engineered specifically to wreak havoc on a battlefield of many. Sporting advanced command module interfaces, these vessels are more than capable of turning the tide in large engagements. Command ships represent the ultimate in warfare link efficiency; the boosts they give their comrades in combat make them indispensable assets to any well-rounded fleet. Boundless Creation's ships are based on the Brutor tribe's philosophy of warfare: simply fit as much firepower onto your ship as possible. Defense systems and electronics arrays therefore tend to take a back seat to sheer annihilative potential. 104d 20h 51m 23s ? The Sleipnir is bonused for projectiles (particularly autocannons) and shield boosting. The Sleipnir has a hefty falloff bonus, allowing it to engage at good range with autocannons. The Sleipnir's good speed and small sig for its tank allows an oversized shield booster fit to tank a tremendous amount of damage for a limited time. No sub-article about Sleipnir roles or piloting tactics. You can write them here. You can write additional notes for Sleipnir here. This page was last modified on 1 April 2019, at 11:26. This page has been accessed 90,970 times.